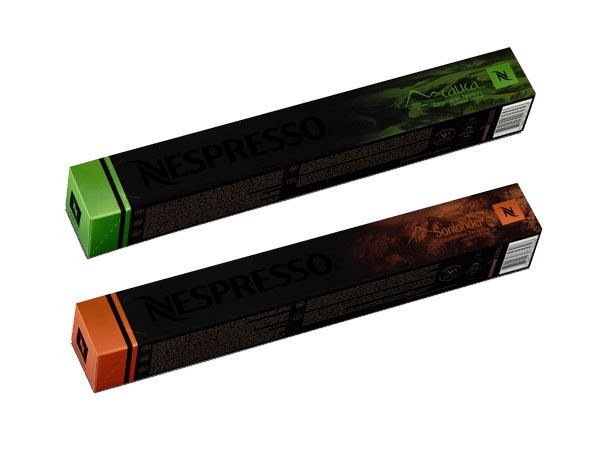 Nespresso’s new limited edition Grands Crus this spring are themed on Colombian Terroirs. Developed by Colombian coffee experts working closely with local farmers, these new flavours epitomise and embody the unique characteristics of two coffee regions in Colombia, Cauca and Santander. By nurturing a long standing and, we are told, sustainable relationship with the farmers, Nespresso has managed to create taste profiles which demonstrate the diversity of the land and celebrate coffees that are unique to Colombia. The lush, green and fertile mountains of Cauca produces a coffee with a flavour profile that reflected these conditions. The fruity aromas give this coffee a juicy body and a hint of spice, which speaks of the strong equatorial sun under which the coffee grows. The bold flavours present means that it can be enjoyed as a cappuccino without the risk of milk diminishing the unique flavours present. Santander, the region to the North-East, provides a dry mountainous clime for the coffee to grow. Sheltered from the intense sun by tall trees, the steep-sided plantations produce a coffee with superb balance. With notes of toasted bread and sweet caramel, this coffee is very well rounded. The inherent sweetness provides a coffee perfectly suited for, say, a latte macchiato. These two coffees prove that a country such as Colombia, renowned for its coffee heritage and pedigree, can still surprise even veteran coffee connoisseurs. Curated by Contributing Editor and Nespresso fanatic N.N.P.